​It's that time of the semester again, and you need a new place to study. 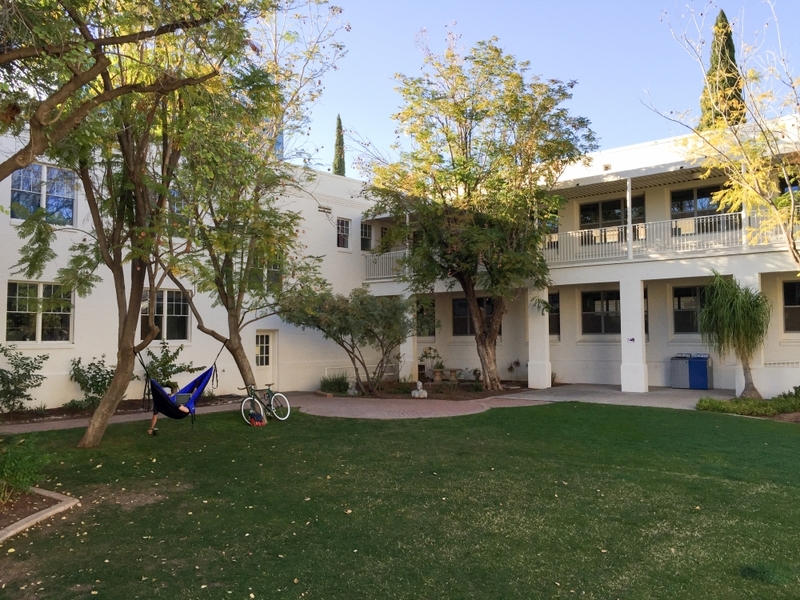 Check out these hidden spots on the Tempe campus, that'll help you focus on school work! Photo by Jordan Neel and Jordan Neel | The State Press Vista Del Sol walkway in Tempe is pictured on Sunday, Feb. 21, 2016. With midterms in full swing, it’s important to find a place that allows you to get in the zone and study. ASU's Tempe campus has nearly 60,000 students, and sometimes it’s difficult to find a spot to sit and focus without any interruptions. Let’s face it, your dorm room is filled with distractions and Hayden Library is nicknamed Club Hayden for a reason. This miniature palm walk on the very south side of campus provides a beautiful scene for studying. The walkway has benches beneath every palm tree, making it easy to find a spot to sit. Take caution though, as this spot may be best for those who need a little background noise in order to study. With the Vista Del Sol apartments and Adelphi Commons close by, there are bound to be students walking around. Aside from the noise, the area makes a perfect places for snacking during study breaks with a nearby frozen yogurt shop, Asian restaurant and mini Wal-Mart. The grassy courtyard outside of the Student Services building is a silent outdoor spot for anyone who needs peace and quiet when they hit the books. Hidden along the sides of the building are several tables and chairs, making it easy to snag a spot. Take caution once again; from personal experience, there may be people who aren’t ASU students sitting in the area. So before you get settled into a nice spot, take a look around and be aware of your surroundings. The area of campus between Armstrong Hall and the Ross-Blakley Law Library always helps me get in the zone. The aura of the two buildings reeks of aspiring lawyers, which only makes the area more motivating. In between the buildings, there is a courtyard equipped with tables and benches. The modern architecture of the two buildings provides a good, fun vibe for studying. Although the Law Library is off limits to students who aren’t studying law, Armstrong Hall is available and open for anyone looking to sit and study. 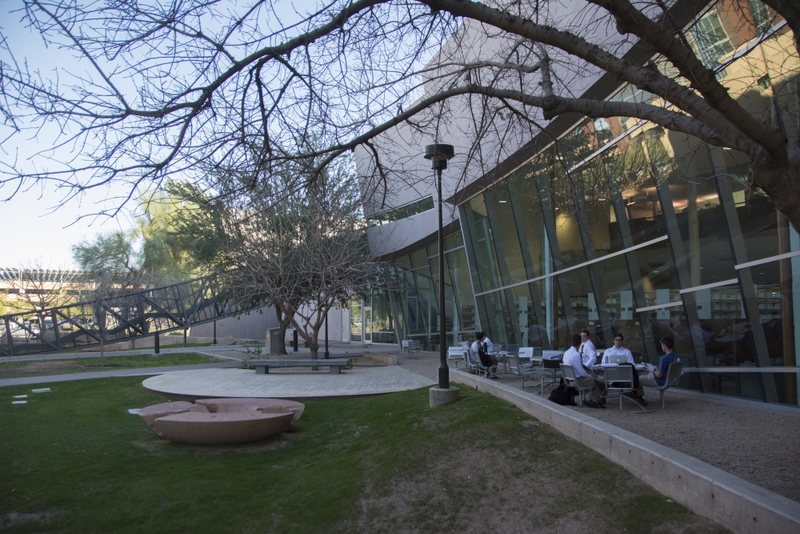 The Tempe campus’ Secret Garden is another spot for students to crank out some problem sets. 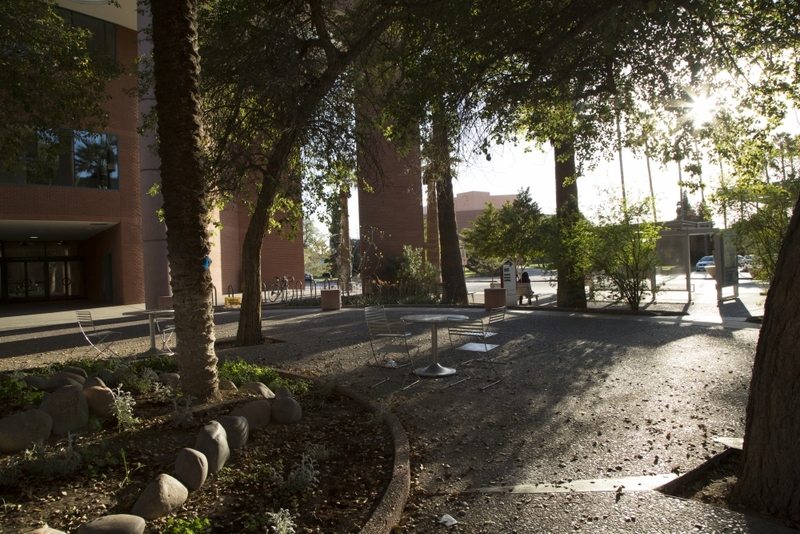 The spot allows students to catch some sun and enjoy the potted plants and trees around the area. There aren't too many places to sit, so for those who prefer sitting on the ground and studying, this is your spot. Since the secret garden is so hidden, there usually aren’t other students in the area. Almost underneath the busy campus above, this spot is perfect for those looking for a quiet, serene setting. The Farmer Education Building looks like a generic University building on the outside, but step into the building’s courtyard and you’ll realize it is like no other building on campus. 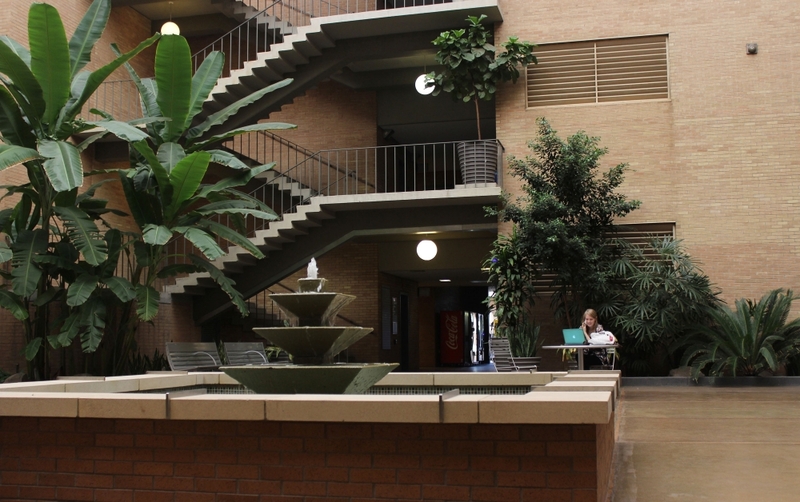 The courtyard alone comes with a soothing fountain and large plants — perfect for studying. The outlined staircases within the building walls almost give off a Hogwarts vibe. This spot is another hidden gem on the University’s campus.